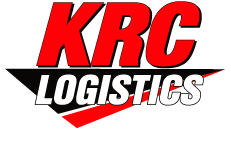 KRC Logistics deploys several types of technologies to enhance our service offerings to our customers. Our customers will be assigned a username and password which allows 24/7 access to order status and history. KRC utilizes state of the art optimization software to aid in creating the most efficient routes possible. The software considers travel times; unload times specific to the consignees and freight type and order sizes to achieve this goal. GPS tracking is utilized to provide up to the minute status updates on our drivers, equipment and shipments. Considering load and unload times, travel times, traffic congestion the software provides accurate ETA’s for all shipments and allows instant communication with our customers if there are potential delays with a shipment. Shipment gate times and signatures are transmitted real-time back to our servers which automatically update EDI transactions and web tracing. Analytical devices are attached to each KRC power unit which provides a host of beneficial information. The comprehensive technology utilized by KRC provides safe, secure, on time shipments with unparalleled communication with our valued customer base.